England U20 matchday squad to take on France counterparts in the upcoming U20 Six Nations encounter at Sandy Park has been confirmed on Thursday. The game day squad will be captained by Ted Hill with Cameron Redpath making a return to inside centre at the expense of Tom Hardwick. Ollie Lawrence is drafted at inside centre with Arron Reed set to make his debut for the U20 side at the wing. 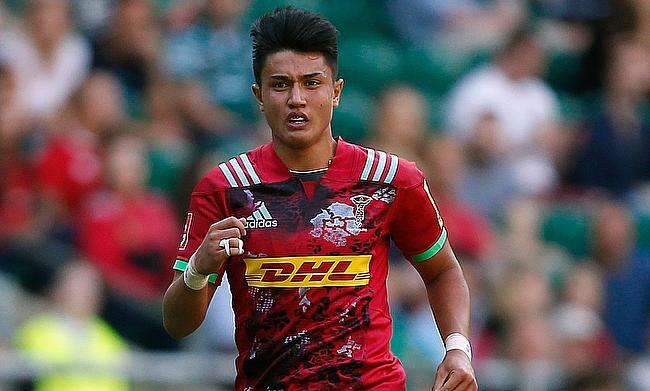 Fraser Dingwall and wing Cadan Murley miss out on the game due to injuries while Kai Owen is set to make his England age-grade debut while Tom de Glanville could appear at U20s level for the first time after being named on the bench. Head coach Steve Bates said the players are motivated to turn around after their disappointing defeat to Ireland in the opening round. “There was a lot of disappointment at the start of the week off the back of Friday’s result but we’ve trained really well and the players are looking forward to getting out there on Saturday and performing in front of a vocal Sandy Park crowd," he said. “The game against France in the final of the World Rugby U20 Championship will have a little bearing at the weekend but the nature of U20s rugby is that it is ever evolving and players change rapidly so although a portion of our squad would have played in that final our motivation is to kick-start our Six Nations with an important victory". Bates is also relieved that the game against France will be in front of their home crowd which will add to the strength of the England side.